Overview: Remember that time when your device lost 50% of battery life during the night because a gazillion services from careless apps kept keeping your device awake and you have no way to disable them? First of all make sure you're ROOTED (it won't work otherwise). You'll be able to select which apps will be put to sleep when the display goes off. 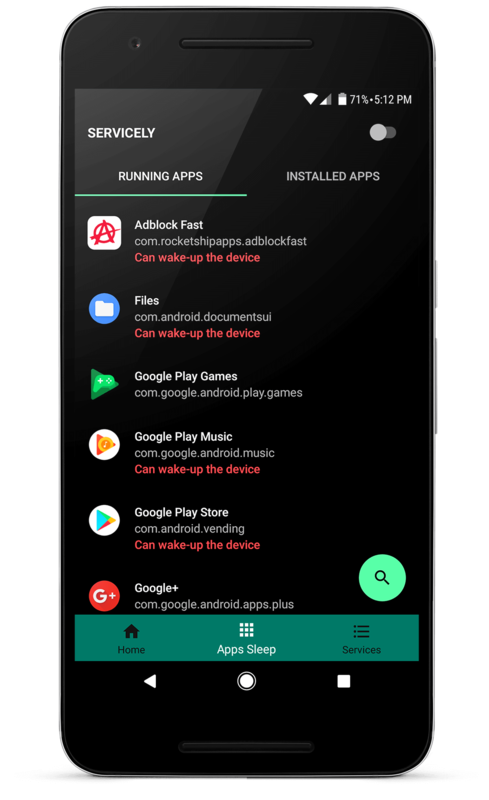 Disabled apps won't be able to receive any notifications or run any type of background job while they remain asleep. This method is pretty aggressive so you'll lose home screen shortcuts or widgets for those apps. As soon as the display goes back on those apps will be un-restrained again and ready to use if you want. Rinse and repeat! Magic. 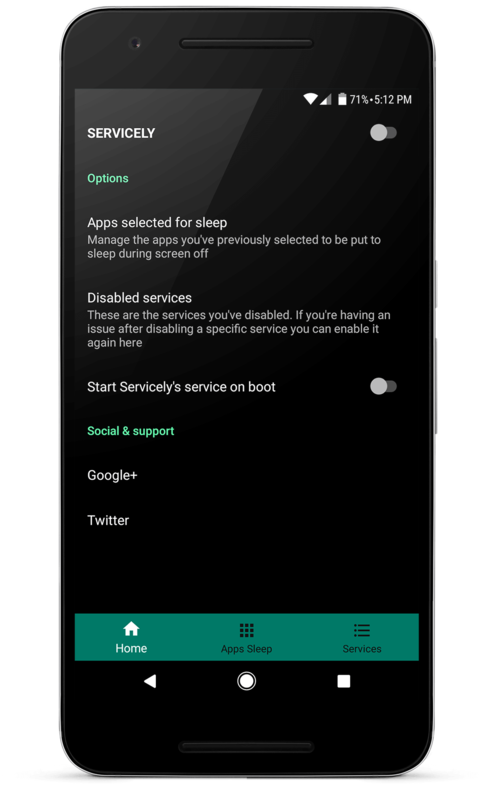 If you enjoy Servicely please leave a review on the Play Store, it helps me tremendously!